How to grow your business without adding vehicles to your fleet. It’s a fine balance and one that few couriers achieve. How do you grow your business, yet remain faithful to your roots? It is a question that Kevin Evans, the owner of Avantee Logistics, pondered for a long time until he found the solution by signing up to Courier Exchange, one of the UK’s leading collaborative logistics platforms. 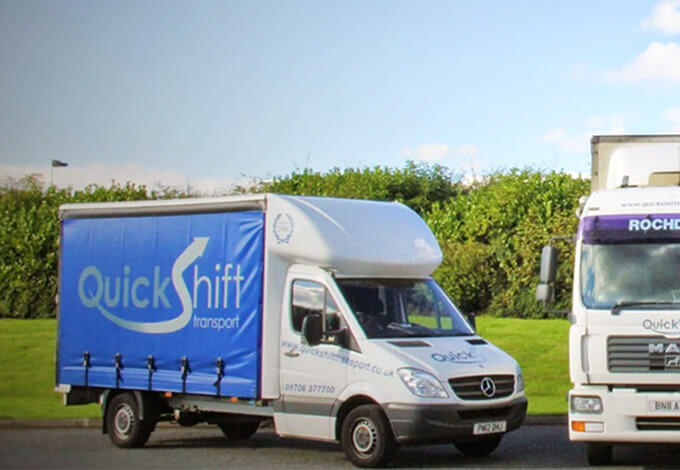 Evans, who has worked in the same day courier sector for 35 years, believed that the solution lay in collaborative logistics. It was then that he turnedto the Courier Exchange. With Avantee Logistics primarily using CX to post loads, in percentage terms, how much does Evans think that CX has added to the company’s annual revenue? He says, “Ninety-nine percent of the time we use CX’s Live Availability Map (LAM) system to check the status of drivers in our network, and to post loads. We estimate that we earn between fifteen to twenty thousand pounds each month subcontracting work through the Exchange to its compliant freelance poolof drivers. And we would say the work we subcontract via the platform adds around70 per centto our annual turnover. Signing up to CX is probably one of the best decisions that we have ever made. But has access to the CX virtual fleet also helped Avantee to win new business? Evans, who believes that “regular and pro-active communication between operator and customer” is cornerstone of any successful logistics business believes that pioneering new technology developed by Courier Exchange, can play a key role in ensuring that the client received regular updates.